Traffic routes have an impact on the habitats of animals and plants. We provide for interlinking of these habitats, for example by means of green crossings, and support near-natural cultivation of grassy areas. The necessary knowledge about species protection and the current challenges for maintaining biodiversity are ever-increasing! we hired a trained forest ranger and a green space manager. In order to meet the increasing demands of our biodiversity management, we hired a trained forester and a green space manager in 2016. As of December 31, 2017, a total of 20,056 individual trees and 5,108.95 hectares of trees planted with woody plants, including shrub areas, groups of trees and woodland, were registered in the course of the two-year project "tree control initial survey, tree cadastre production". 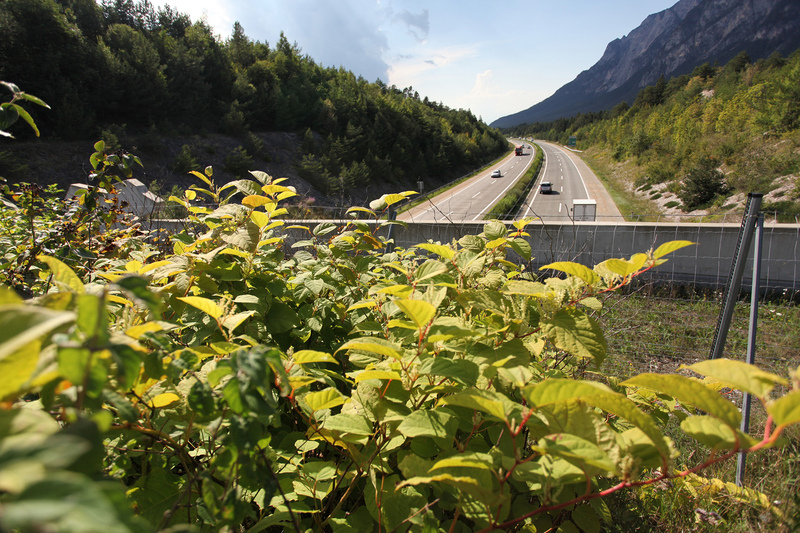 The brochure "Natura 2000 and species protection" contains various recommendations and details for construction planning for the traffic infrastructure. A uniform concept for monitoring green crossings was also created in the past year. It will be implemented this year, and in addition to functionality, it should also improve the planning and construction of future green bridges. For this purpose, at about 20 green crossings thermal imaging cameras are being installed, tracks studied or pitfall traps set up. Since April 2016 we have been participating in the Austria-wide initiative: "Nature Connects: Every square metre counts". This cooperative project by the Naturschutzbund (Nature Conservation Association), Ministry of Environment, Chamber of Agriculture, and the Federal Forestry Office is collecting valuable "square metres" of flowering areas, colourful edges of fields, or meadows of wildflowers. The initiative is calling for private individuals, companies and other organisations to connect their natural areas. Because "Nature Connects" hopes for an extensive map of large, interconnected areas used in a near-natural way. Therefore, in cooperation with the Nature Conservation Association, we are defining areas along the motorways which we want to develop into location-appropriate flower meadows. Up to now, about 40.000 m2 have been seeded with location-appropriate seeds. Due to the success of the cooperation it has been extended for another two years.